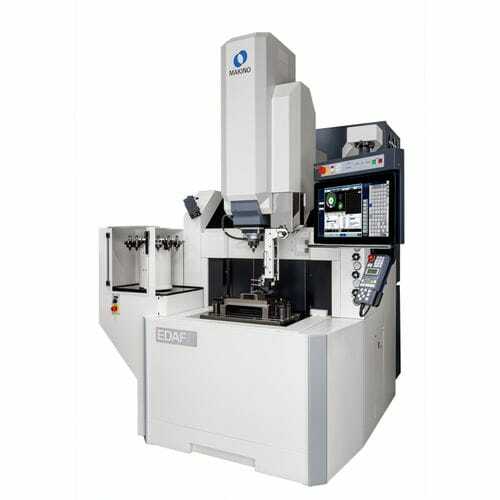 The EDAF fine hole machines are dedicated for EDM drilling with tube electrodes starting at 80 µm. With automatic electrode and guide changer, electrode length management and automatic drilling depth detection they are perfect for unmanned long time operation – precisely and reliable. The drilling arm can be removed within a minute and the machine turns into a full featured Sinker EDM.